Authentic Turquoise Stone is one of the most popular of the Healing & Good Fortune Gemstones. It embodies power, wisdom, luck, protection, and immortality. The Blue Healing, American Turquoise Crystal has been in use for thousands of years by Native Americans. Did you know that Turquoise had been used thousands of years ago as a protective amulet for the extravagant Pharaoh King Tut and the legendary Queen Cleopatra of Egypt. 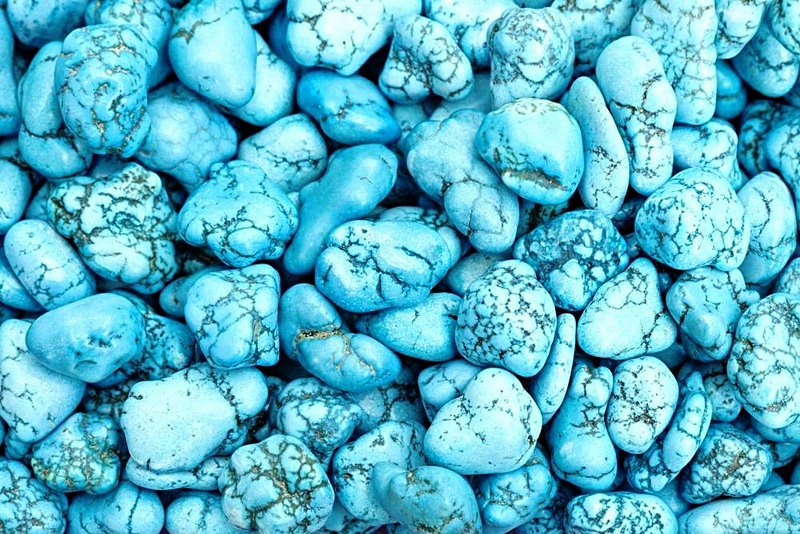 Turquoise is a master healing stone providing cleansing and healing energies for the entire body. Emotionally it assists you in forgiving yourself, encourages Self Acceptance, and inner strength. Turquoise is a Self Confidence building Stone. It acts to induce wisdom and understanding and to enhance trust & kindness. Turquoise will give you the ability to see all aspects of yourself, giving you inner wisdom and clarity in your mind. Turquoise jewelry was worn for centuries as protector against all things evil and is one of the oldest known stones of significance in the history of Man. Turquoise stone, the talisman of Kings, the Shamans, and the Warriors, is a stone of protection. It will repeal all negative energies and is a great stone to wear when traveling. The Turquoise protects you from all physical harm keeping you safe during your journeys. Did you know that brides in Eastern Europe were traditionally given a ring made of turquoise and silver, as it is said to bring peace and good health to the woman, as well as prosperity to the man. Tell us what crystal you would like to know about next in the comments below.